Gone are the days when floodlights were solely used for safety and security – today they have a much wider scope and can be used both indoors and outdoors to create stylish lighting solutions. With the advent of LED, modern floodlights are suitable for both home and business use. Floodlights have traditionally been used to light large outdoor areas, such as the outsides of buildings, car parks and stadiums. But with the advent of LED floodlights, these versatile lights can now be used both indoors and outdoors, and they’re as stylish as they are practical. 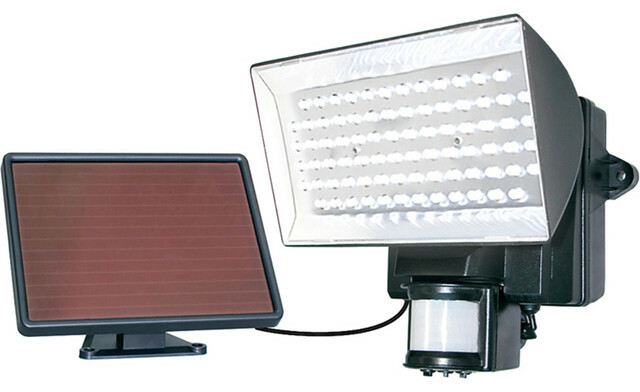 Motion sensor LED flood lights can be used both at your business and around your home to provide outdoor security. For example, you could set your motion sensor flood light above your front door or at the end of a long drive, so that it comes on when visitors approach. This is a particularly good way to deter intruders or burglars at night, particularly if you live in a dark, isolated area, and it also helps you to feel safer if you’re coming home alone in the dark. Motion sensor LED lights can be used at your place of work to deter opportunists looking to break into a building after hours, and because LED bulbs last so much longer than traditional bulbs, your motion sensor floodlights will last for years to come! LED flood lights don’t have to be boring and white – it’s possible to find RGB colour changing floodlights which incorporate dozens of tiny red, green and blue lights, so some stunning colour combinations are possible. These could be used to illuminate the exterior of your home or another building, but can also be used to great effect indoors, for example, to illuminate an alcove or highlight a display cabinet. They could even be used to light areas such as theatre stages. If you’re looking for an LED lighting system which can easily be moved around, then portable LED floodlights are the perfect solution. They come with a portable, rechargeable battery system which means they can be moved from A to B with the minimum of fuss. This is ideal for anyone who wants a flexible lighting system that can be moved from room to room or location to location. There are no messy, trailing wires to worry about, and these types of floodlights can be used both indoors and outdoors. As you can see, there are plenty of different types of LED floodlights to choose from, and they have a variety of different uses around the home, but can also be used for your business needs too. 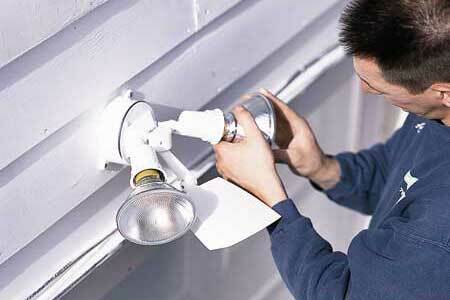 Compared to halogen lights, LED lamps are incredibly economical, as they use less electricity and last for far longer. They’re also suitable for both indoor and outdoor use and can withstand the elements – even if it’s snowing or raining, your LED lights will continue to work! With energy saving LED floodlights, you’re not only doing your bit for the environment, you’re also reducing your fuel bills, and that’s a saving that we could all do with! Of course, there are plenty of other uses for your LED floodlights too – the only limit is your imagination. They can be used anywhere inside or outside your home to provide bright illumination or cool colours – why not use them as lighting for your decking or patio area, or to provide motion sensor lighting for your garden at night?